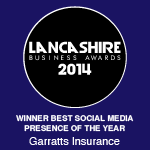 At Garratts Insurance Brokers, our philosophy is simple. We combine the benefits of a progressive approach to business with the traditional values of a long established family firm. As a result we deliver a level of service that is second to none. What sets us apart from the competition is the delivery of our solution. In an age when insurance can be bought off the internet and in supermarkets, we recognise that our commercial clients aren’t looking for the cheapest price, but the very best value. 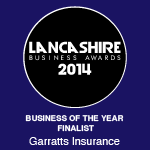 Of course our prices remain highly competitive – thanks to the discounts we receive from insurers. We pass these savings onto our clients, who are assured of the most competitive premiums, regardless of the types of cover required. Just as importantly, we take the time to gain a comprehensive, professional understanding of our clients’ businesses so we can advise on the insurance solution that is exactly right for them. If you do need to make a claim, we become fully involved in the process – liaising and attending all meetings with the loss adjusters to ensure your claim is settled speedily and with minimum hassle. With a broker of our calibre, sourcing insurance isn’t a one-off transaction. It’s an ongoing, face-to-face relationship based on trust and quality of expertise, understanding, advice and service.